Once your customer has added a product to the cart, they may want to use their reward points they have stored on their account to obtain a discount and proceed with their purchase. 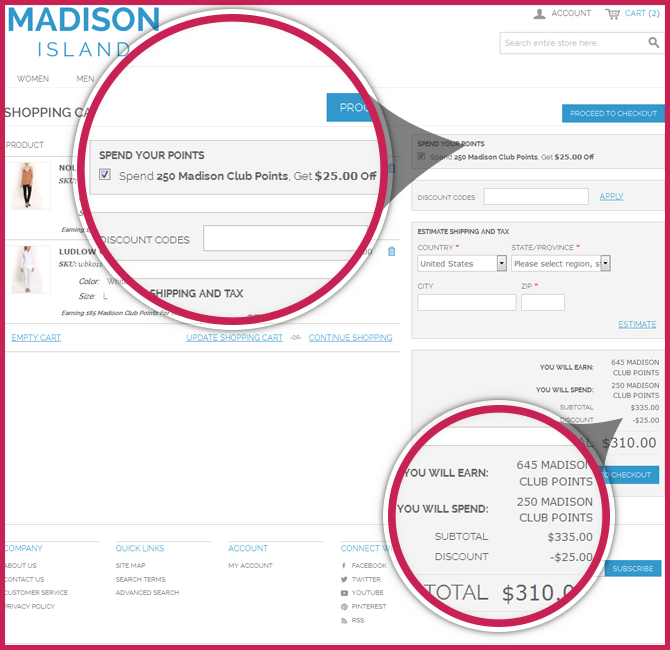 The two key features for customers to spend their points in the shopping cart are the Slider widget and the Tick Box block. 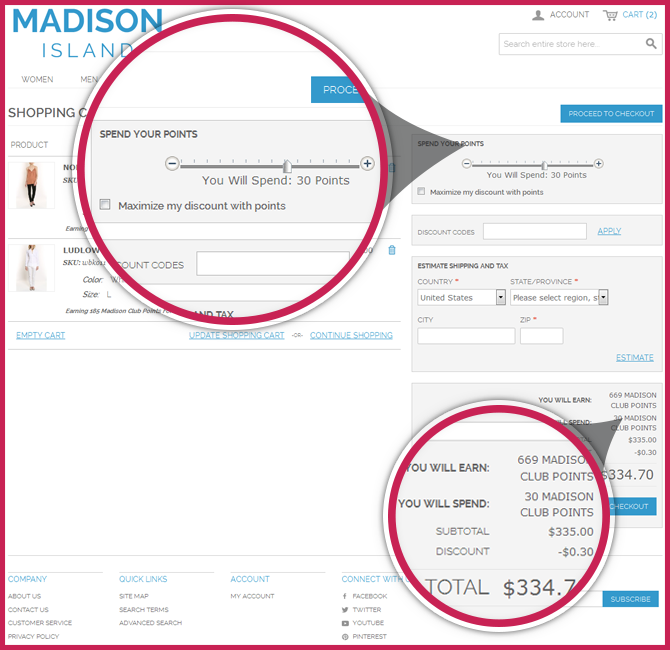 The slider widget allows customers to slide a toggle to spend the correct amount of points. The tick box block allows customers to tick the box and spend their points allocated to their account.